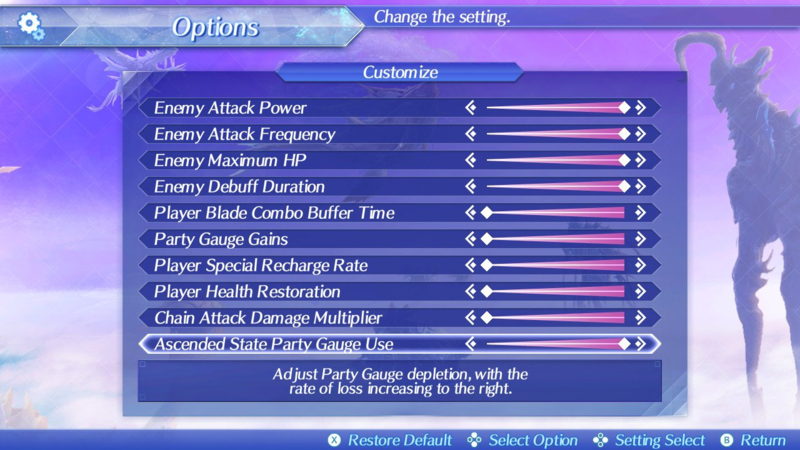 Xenoblade 2 just got update 1.5.0 on Friday. Auto battle and the Challenge arena are the two biggest. Supposedly, if you do enough challenges, you can get a couple of blondes from Xenoblade 1 as permanent blades! Shulk is light ATK with the Monado, and Fiora is wind HLR with dual daggers. It’s cool to see those characters added. I’m holding off for the story DLC to maybe finally buy, but if I do I might play around with that feature with that incentive. I'm getting back into this. Combat took some refreshing, but it's relatively straight forward once you jump back in. I'm just leaving an, err.... Titan. One question though, and sorry because I'm sure it was discussed earlier. But it seems like there are two systems simultaneously happening in combat. You have the break-> topple-> some kind of spin, which increases damage and incapacitates the enemy. But the elemental attacks that the Blades do, is that separate from that? I was trying to look for the status effects of the blade attacks, but I think they only factor in for the elemental effects? Today, after some 70 hours of gameplay, I learned that quests can have required characters to be present, and that these characters are listed at the bottom of the screen if you go into the quest details. I love this game, but damn does it hide stuff sometimes. I just got a tutorial introducing that there are three different classes. It didn't tell you anything about those classes, but did say that you should pick the class that suits your play style the best! I really hate game tutorials that tell you "do this way you like" without giving suggestions. Like "if you prefer getting in and hitting things, take X. If you like hanging back and shooting from a distance, take Y." I didn’t understand the combat system and the smashing spheres thing or whatever until the final boss. I think I made the game a lot harder for myself. I am totally loving this game as well. After watching a video about the combat system, things are making more sense. The real lightbulb moment was figuring out how to read the combo tree thing in the top right. I'm not sure they ever explained that too you. Now that I know what's going on with that, things are making more sense. I do wish there was a way to see the trees for each blade, because I never remember which one I want during combat. I totally agree. I have also have to figure some tings on my own and 20 hours in.. I am still not entirly sure I dominate the system. I have been totally ignoring the combo tree. That's a shame, it makes for some splashy fun stuff to look at, plus lots of damage. Once you understand it, it's pretty intuitive to glance and know how to pick the next level. The one area you can mostly ignore, I believe, is the orbs. Too few battles last long enough to make the orbs generally viable. On the battles that are long enough, though, getting a bunch of orbs and smashing them can be really fun for huge damage. Most fights don't last long enough for me to build out the full combo tree, but it gives me something to aim for at least. Getting the full combo looks cool as hell. Then I guess I am doing someting wrong.. some of my fights take way too long. even with regular mobs. Edit... omg.. this game seems like overwhelming... missions, quets, merc missions, combos, specials and no tutorials to re-review. omg.. this game seems like overwhelming... missions, quets, merc missions, combos, specials and no tutorials to re-review. You can adjust that in the game? I don't know, but that quote tells us so much about it. Seriously though, you're pretty into JRPGs in general and Tales games in particular, so you seem like somebody who enjoys figuring out complex systems. You will, yes. Or that's the belief from the data mining. Kind of wish I could turn down the enemy aggression radius. I'm running through an area where the enemies are a bit below equal level to me, and the adds are nuts. I've mostly been trying to avoid fights, since I'm just going from A > B, but a bunch of times, I've gotten jumped by some pokemon looking thing with a ranged attack, and during the fight, attract a bunch of extra mobs. One fight, I started with a single mob attacking me, and they kept coming in one or two at a time, and I think I wound up going through seven or eight mobs by the end. Including a mom and her cubs that I was specifically trying to avoid because I felt bad. Most annoying part of these fights is that they're not hard, just long. There's rarely a penalty for just continuing to run, if that's an option. Most mobs stop trailing you after you leave a certain radius from their initial location, regardless of their proximity to you (i.e. there's a finite kiting radius too). I do a lot of running through areas getting chased if I don't feel like fighting. True. I don't mind fighting one or two random mobs. It's probably better so I can get the XP. It's when "one quick fight" turns into "let's spend 5-10 minutes on this long stream of adds" that it gets annoying. I am 35 hours into the game. Enjoying it very very much. The story, the overall art of the game. I am very pleased with it. I am getting used to the battle system. The only real ISSUE I have is with the world map. Maybe it is just me, but I get lost easily and I find it hard to reach certain places. The map is horrible and that's even after they updated it to be more useful. My uneducated guess is that the map is actually development assets they quickly threw in the game and called it a day. At least Xenoblade's map is better than God of War's?